4th International Conference on Tumor & Cancer Immunology and Paediatric-Oncology : Vydya Health - Find Providers, Products. 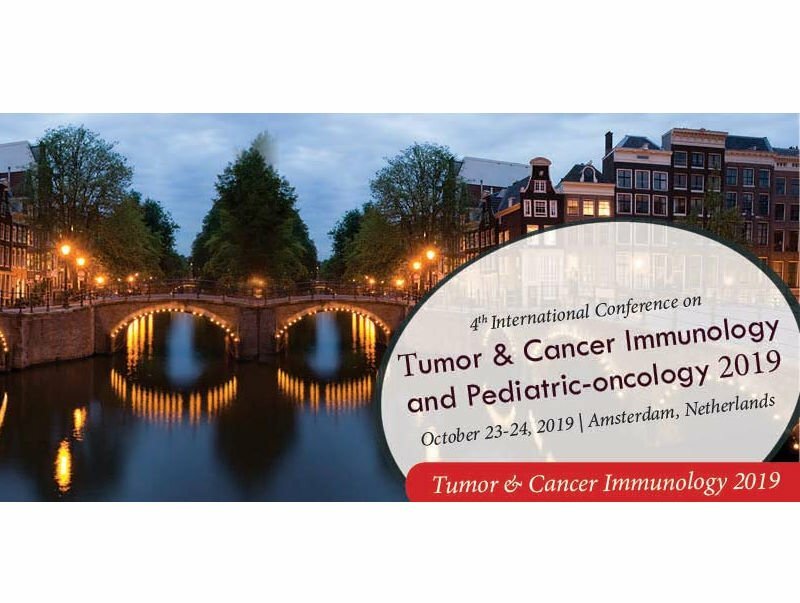 The organizing committee invites you to attend the “4th International Conference on Tumor & Cancer Immunology and Paediatric-Oncology-2019” during October 23-24, 2019 in Amsterdam, Netherlands which includes prompt keynote presentations, Oral talks, Poster presentations and Exhibitions. The theme of the conference is “Explore Innovative Research Ideas for Prevention of Cancer.” The conference focus on major tracks as Tumor, Brain Tumor, cancer Biology, Tumor Immunotherapy- research, Paediatric-Oncology, Cancer Vaccines, Cancer Biomarkers, Tumor Biology & drug targeting etc. The scientific program of the conference is broad and embraces different research aspects with focus on applied and advanced Tumor immunology, and in particular with a veterinary and medical interest. Tumor & Cancer Immunology – 2019 Conference deals with the diagnosis, prevention, and treatment of diseases of the organ specific cancers and including the latest techniques. Tumor & Cancer Immunology 2019 is an extraordinary event designed for International medical health professionals and oncologists to facilitate the dissemination and application of research findings related to Cancer. The conference invites participants from all leading universities, clinical research institutions and diagnostic companies to share their research experiences on all aspects of this rapidly expanding field and thereby, providing a showcase of the latest techniques. Tumor & Cancer Immunology 2019 provides two days of robust discussions on methods and strategies related to management and quality improvement of Cancer therapy, Tumor Biomarkers as well as explore new ideas and concepts on a global scale and the topics include breast cancer, Paediatric-Oncology, leukaemia, bone cancer, lung cancer, prostate cancer, thyroid cancer, blood cancer, colon cancer and cervical cancer.